In today’s digital era, consumers are more reliant on their phones than ever before, with the average user spending over 5 hours on their mobile device every day! With people spending so much time on their phone, the effectiveness of SMS marketing has never been greater. As such, it’s not surprising that recent research by Inforholic shows the application to person (A2P) SMS market is expected to grow from $55.6billion this year to $78.6billion in 2022, as more and more industries tap into SMS for their communications. Whether it’s in education, banking, retail, healthcare, aviation or insurance, sending SMS messages via an online SMS gateway allows businesses to connect with their customers quickly, directly and effectively. In fact, today’s SMS software allows businesses to send SMS online to any phone worldwide, with an open rate of approximately 98%. Furthermore, 95% of these messages opened within the first few minutes of being received. So, what are some of the ways businesses are using SMS to communicate with their customers? One-time passwords are an ideal way to protect an individual’s identity and information when logging into or creating an account with your business. Put simply, a one-time password uses automated SMS software to deliver a text message to the associated mobile number when a customer needs to set up or re-set their account credentials, while preventing any breach in security. Used often by banks, insurance companies and government organisations, one-time passwords sent via SMS are the trusted way to confirm a customer’s identity when dealing with highly confidential information. In the service industry, time is money. The cost of missed bookings and appointments result in a huge loss to businesses each year, and savvy employers are using reminders in an effort to reduce this financial drain. From doctor’s clinics to beauty salons and restaurants, businesses are seeing a significant drop in ‘no-shows’ when using an automated SMS service to send out reminders to customers 24 hours prior to an appointment or booking. Reaching out to customers on the device they use most ensures your message will be read, saving time, money and valuable resources that are wasted on missed bookings and appointments. Bulk SMS marketing involves the distribution of mass messages to recipients for marketing and promotional purposes. It’s no secret that customers love news regarding special offers, sales and promotions. Interestingly, according to an Open Market research poll, 64% of these customers prefer to receive this information via, you guessed it, SMS! 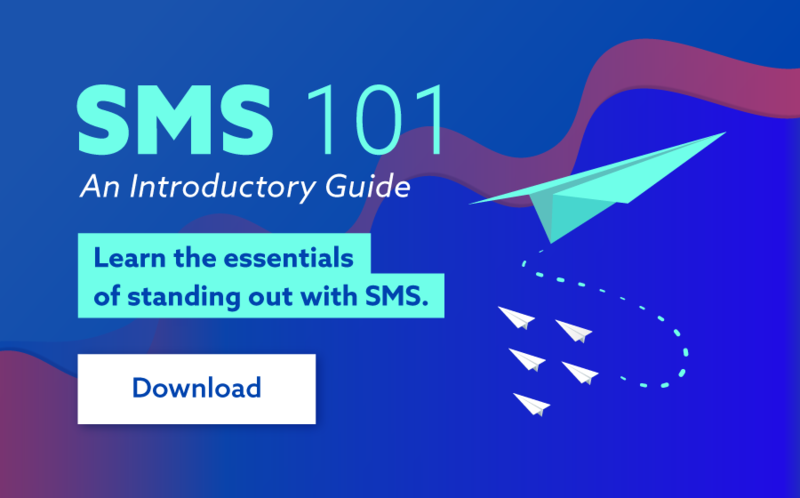 SMS is more than a communications channel for pushing out information. It is also an ideal platform for gathering valuable insights back from recipients via 2-way SMS. Using SMS, customer survey are easy to implement and can facilitate almost instant feedback. Simply send an SMS online to your database directing them, via a link, to complete an online survey. Or even easier, enable completion via a few brief text messages. SMS is undoubtedly a highly effective standalone marketing and communications channel. It also has the ability, however, to enhance other channels such as social media and email as well. Interestingly, by sending a follow-up SMS after an email you can increase email open rates by up to 20-30%. For more information about how your business can utilise SMS, head to smsglobal.com. Alternatively, feel free to call one of our friendly SMS specialists any time on 1300 883 400.